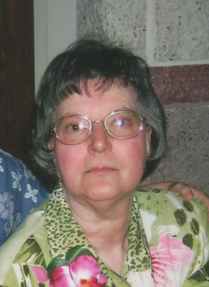 Ruth E. Stambaugh, 76, formerly of Spring Grove, died Sat., June 23, at Hanover Hospital. Born March 15, 1942 in Hanover, she was the daughter of the late Jacob F. & Laura E. (Bittle) Stambaugh. Ruth was retired from Black & Decker of Hampstead since 2006. Surviving are her son, Shawn A. Stambaugh & wife, Natasha L. of Spring Grove; her grandchildren: Keith D. Stambaugh, Phoenix J. Stambaugh Russell & Heather Stambaugh, Kelynda, Mike & John Ardrey and Katelyn & Benjamin Bubb; her brothers: Leonard F. Stambaugh of Hanover, Aaron Stambaugh and Lester Stambaugh, both of Gettysburg, David Stambaugh of Hanover and Norman Stambaugh of Christmas, FL; her sisters: Laura Ibex of Kemar, MD and Emma Eppler of Westminster and many nieces and nephews. Ruth was predeceased by her son, Jamie L. Stambaugh who died in 1999 and her brother, Larry Stambaugh. Ruth was a member of Redeemer’s UCC, Littlestown. She enjoyed shopping, visiting different restaurants and spending time with her family. So sorry to hear. She will greatly be missed by many. I truly miss the days I used to pick her up for church on Sunday evenings. She always had a beautiful smile and always full of laugher. She will be missed beyond words. The most unselfish, giving and caring woman I have known. Knowing she is with Jamie gives us peace. Rest in peace Ruth, until we meet again!